The support in the running community for Monday's events has been inspiring. but what I have seen is more than I ever could have imagined. but I want to spotlight some of the blog posts I read yesterday(and today). these are just some that really inspired me. Hollie (@fueledbylolz) is a very near and dear friend of mine, and she is wise beyond her years. 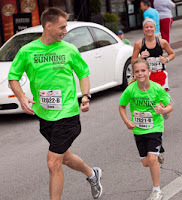 She is an incredible runner, athlete and person. Although she has never ran a marathon (YET!!!) she has more respect for the distance and the process than most people I know. It's a wonderfully written piece that shows how well she does understand, regardless of going the distance yet. For the record, she could go that distance any day, this girl runs circles around everyone! Mark took up running years ago to replace his habit of smoking, which is amazing in itself. Since then he has run plenty of races, including many marathons. Although I have never met Mark, I found his post to really hit home to me. 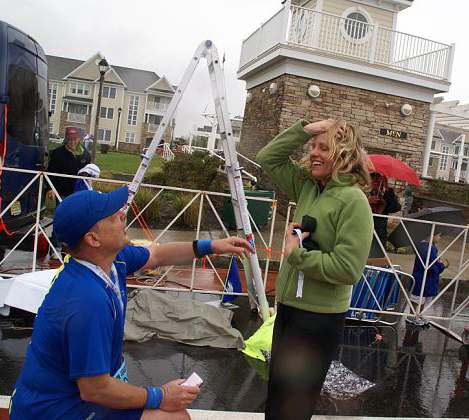 I have met Jamie a few times, and even ran a half-marathon with her. She is an inspiring young woman with big goals that I know she will reach! Her and her Hubby Mike train together which is wonderful, they are 2 amazing and sincere people. She talks about her day Monday from excitement to watch, to fear and waiting to hear from people. I think we can all relate, waiting to find out if our loved ones were okay, was emotional and taxing. His post goes through how his day unfolded on Monday (as we all did), and how it affected him. I read her blog regularly even though we haven't met, she's a fabulous lady, I mean look at the awesome running skirts she has! 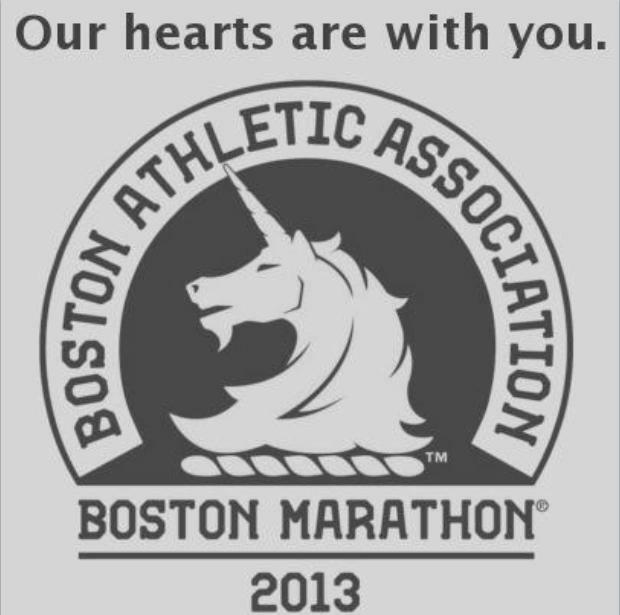 She posted yesterday about Boston, but today her post got me a little more. Yesterday she asked for her readers to send her pictures of their Boston tribute, and today's post is all of those pictures. 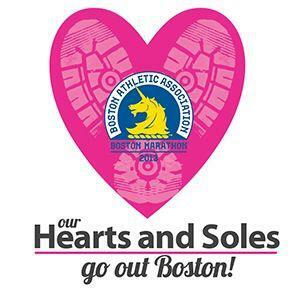 She really highlights the amazing community we share as runners. Kristin's blog is a regular read of mine, love reading about her fitness story, yummy things she cooks, and pictures of her adorable twin sons. 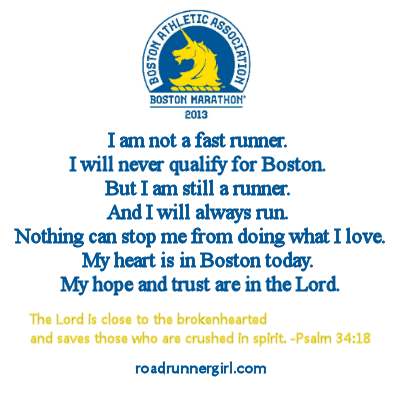 Kristin was supposed to be running Boston this year, but had to cancel due to injury. She clearly had some emotions heading into Monday with not being able to be there, but so much more after everything unfolded. 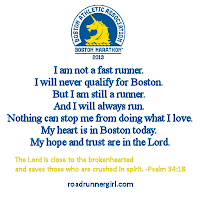 Even though she wasn't able to be there as planned, she "ran for Boston" and focused on how lucky she is to have her family, and she will bounce back from this injury. Jen's fitness journey is nothing less than inspiring. She has a lot going on in her life, and is working towards "getting back on the bandwagon" of fitness, and inspiring people along the way. She puts her thoughts into words, claiming that they are "all over the place". In all honesty though, I think we are all the same way, how can we think straight with the things that have happened? Great post! Laura is always putting out good reads, and I'm secretly happy she will be moving to the North East. Hopefully there will be a meetup! She has a ton of running and life knowledge that keeps me reading for more. Certified coach, awesome mom, great runner, and so much more. She talks about her reaction to Monday's attacks, how we must not let the negative emotions consume us. We need to be compassionate and move forward together! I have never read anything on this page before, or by Erin but her post yesterday was wonderful. I found it through a link shared on Facebook and I was glad that I did. 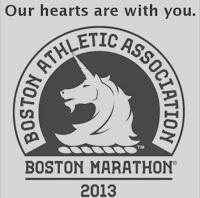 "If anyone thought this attack would discourage the runners or the watchers, they've clearly never been to a marathon." Luau always has posts that hit you, in a good way. His stories are inspirational and heartwarming. He is on a journey to raise awareness for Autism and doing running and inspiring in the process. His last few posts about Boston are nothing less than I would expect, as someone who has run Boston and someone who is from Boston, he offers a special perspective. I read so many yesterday and today, I can't remember them all and I am sorry for that. I will most likely keep adding to this, and again please let me know if you want yours on here. for being inspiring and compassionate. and giving me a place to belong. is be grateful and count our blessings. 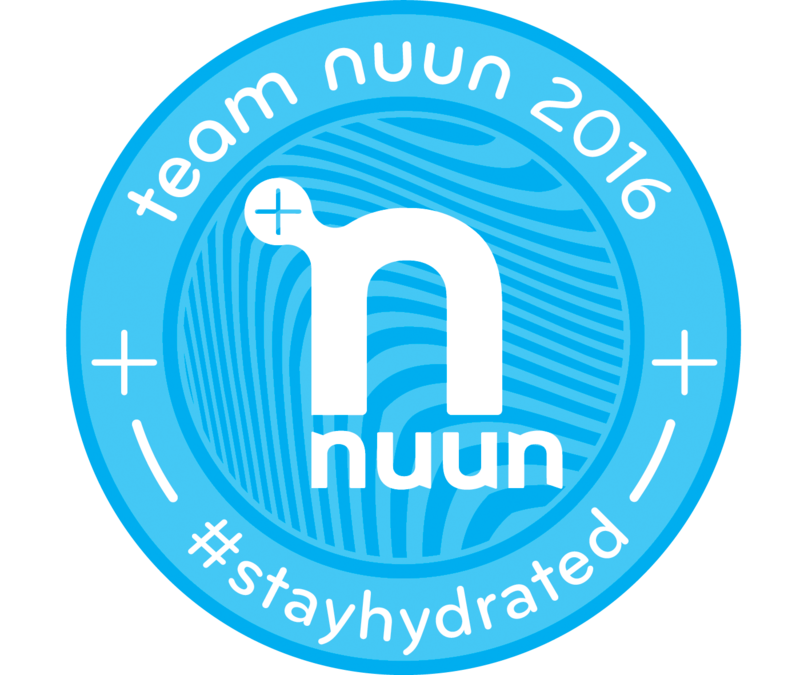 Happy to include a fellow runner and blogger, thank you for being inspiring! I literally just opened up all the blogs you listed to read (because I essentially know that I will love them via your recommendations). I understand completely though-so many blog posts (some I felt were just like post a photo...this is sad...which weren't really reflections but more obnoxious because I didn't get the point of that I guess). Thanks for including mine, Laura!! Definitely a lot of feelings and emotions about what happened on Monday.